Tax season is upon us again and the hackers have been busy with a slew of old and new tricks to try to steal tax refunds. Here are some of the new and old tricks that hackers are employing this tax season and some tips on how you can avoid being taken advantage of by cyber-criminals. Who wouldn’t be happy to get a bunch of money deposited in their bank account by surprise from the IRS?! Unfortunately for us, the IRS is not just giving us all money and it is a new elaborate scam by hackers to try to swindle you and the IRS out of money. Hackers are using your personal information to file a fraudulent tax return on your behalf but also having it deposited in your bank account. Then they fall back to their old scam of calling or emailing you, claiming to be the IRS and demanding that you send the money back. Due to the massive Equifax data breach, the IRS is expecting a huge uptick in the number of fraudulent filings. To try to help combat some of the fall-out, each employer has been assigned a special Employer Code that is found on the W-2 form to try to make sure that fake W-2s are not used to file claims. The IRS also has encouraged everyone to try to file their claims as quickly as possible as to not allow hackers a chance to put in a fake claim before you do. If two (or more) claims are filed with your social security number, the IRS will notify you by snail mail (The IRS does not email or call). If you try to eFile and a claim has already been filed, your claim may be rejected and you will need to contact the IRS (also because of the Equifax data breach, contact the FTC). A worrisome discovery this tax season has been the sale of infant and child personal information on the Dark Web. Hackers even are eliciting sale of the information by advertising that it is tax season and buyers should get the information before it is used. The troublesome aspect of having children’s personal information for sale on the Dark Web is that very few parents actually monitor the credit of their youngsters and they may not discover a fake identity for years or even 16-17 years down the road when the child is grown and starts applying for college or credit. Despite IRS warnings and tons of news the past couple of years, hackers are still tricking businesses into sending their employee records. A few years ago, the IRS warned companies of falling for the W-2 scams but despite the continued warnings, businesses (and even government offices like the City of Keokuk,Iowa and Batavia, Illinois) are still falling for phishing scams posing as the company CEO or executives asking for employee summaries and W-2’s. Employees may be your business’ greatest weakness but they also can be your greatest defender if you take the time to educate them. Inform your employees who have access to sensitive employee data about these types of scams. Don’t just assume that they know. Lastly, sensitive employee data should never be transmitted unencrypted (even if it’s thought to be internal). Despite IRS warnings and tons of news, tax season phishing scams have taken in an incredible number of businesses this year. Early in January, I wrote about the dangers of phishing, particularly for W-2’s during the tax season and it seems that each day there is news of another company that has unwittingly exposed sensitive employee data to hackers. A year ago, the IRS warned companies of falling for the W-2 scams but companies are continuing to fall for email scammers posing as the company CEO or other high ranking executives asking for employee summaries and W-2’s. The W-2 information is valuable to hackers because they can take the information and file false tax returns with a diverted refund before the real person can. Already last month four companies in Indiana have fallen for the trick. 17,000 employees of American Senior Communities were notified that their payroll processor had fallen for the W-2 phishing scam in mid-January but it wasn’t until employees started having their tax returns rejected in February that the breach was discovered. Another company in Indiana, Monarch Beverage, discovered that they had fallen for the W-2 phishing scam two years in a row while investigating this year’s breach. During the investigation, the company found that the same information had been erroneously disclosed in April 2016 to a hacker posing as the company CEO. The stories go on and on about unfortunate employees and companies have fallen victims to increasingly more sophisticated phishing attempts. Phishing actually topped the IRS’ Dirty Dozen list of tax scams for 2017 and the IRS has seen a 400% increase in phishing scams since 2009. 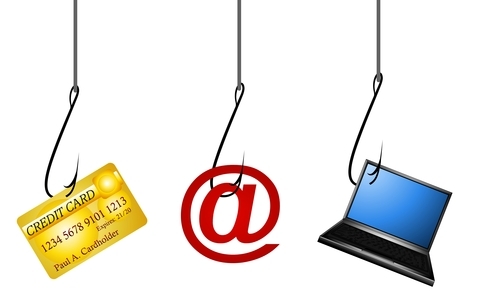 So, what can businesses do to combat phishing scams and protect their employee’s data? Teach your employees how to identify phishing scams and when it comes to sharing sensitive data, you can encourage them to seek verbal approval from the requestor, although phishing scammers often send their emails stating there is urgency in the response. But will an extra five minutes to get verbal confirmation from the sender be too much? 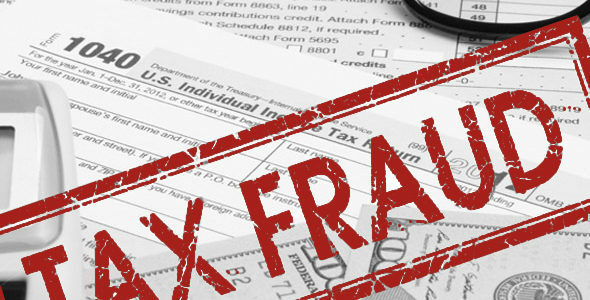 Two school districts (Groton, Glastonbury) in Connecticut were victimized by a phishing scam that divulged W-2 information for nearly 3,000 employees. The school district manager in Groton was placed on administrative leave and the Superintendent expressed his dismay in the disclosure stating “We are of course heartbroken and I just can’t tell you how disappointed I am that this occurred.” But in a related incident, the town of Groton also received a similar email asking for the W-2 information for all the town employees but the employee who received the email was suspicious of the request and reported the fraudulent request. You don’t ever see the success stories published in the news, but this employee truly saved the day by being suspicious of unusual requests for sensitive data. Lastly, sensitive employee data should never be transmitted unencrypted, even internally. It seems that every day there is another company being hit with a new phishing scam—PayPal and Dropbox being some of the more notable of the recent victims. Because it is all over the news, we assume that we know exactly what phishing is; but do we really? Phishing is a scam where cyber-criminals, sometimes referred to as ‘phishers’, impersonate seemingly trustworthy sources in order to send out electronic communication to their contacts (usually customers) in order to do one of two things: (a) to steal credentials and personally identifiable information (PII) from employees and clients, or (b) to infect the computer or company system with malware. The way they are able to do this is a systematic process that includes planning, setup, attack, and collection. Planning. First, phishers determine which businesses they want to target and how to get their email address list. This is usually by either stealing information from the social media accounts of finance and HR employees from networks such as LinkedIn, or by guessing employee email addresses, which they then use to infiltrate the company. It is easy for hackers to guess some employee emails if the company uses the standard formatting of ‘firstname.lastname@companyname.com.’ While this is easy for employees to remember, it is also easy for phishers to guess. Setup. Once they have decided their targeted businesses, phishers determine their delivery method for the scam. Most of the time this is through email, however the PayPal phishing scam is an example of one that uses social media as a means of tricking customers. Two fraudulent Twitter accounts were made to appear as though they were legitimate customer service accounts with an urgent message for users of the site. Targets have been lured into entering their PayPal credentials into the seemingly legitimate, but fake pop-up page. This gives these cyber-criminals the information they need to steal PII from the users as well as transfer funds out of their PayPal accounts straight into the scammers’ pockets. Attack. This is the stage that most people think of when they think of a phishing attack. This is where the phishing message is actually sent out via whichever means the scammer previously chose, again, appearing to be from a reputable source. Collection or Infection. Not everyone will click on the phishing message, however, 39% of employees click on emails that they originally believe to be suspicious. Those who do end up taking the bait by either clicking on a link in an email or entering in their information into a pop-up, unfortunately have their information recorded by the phishers who can then use this information for their own personal gain. 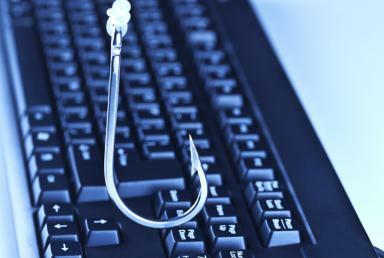 The collection of information is the goal for one type of phishing scam, but as mentioned above, there are some phishing scams whose goals are to infect the computers or systems of the affected individuals. Ransomware, one of 2016’s hottest cyber-threats, is a very popular malware to be included in a phishing scam–now included in 93% of the phishing emails sent out. Before any company can protect against a phishing scam, they must first be able to identify one. Here are a few telltale signs that can help you determine a phishing email from a legitimate one (note that these are also included in a previously Axiom blog article on phishing, Gone Phishing: Who’s really on the other end of the line?). 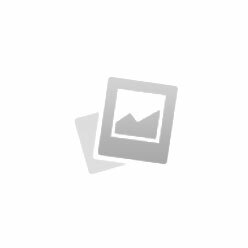 Links- The best way for a hacker to access your information is by making you come to him. Many links in suspicious emails can be verified by hovering your mouse over it; if the link is taking you to an .exe file for example, do not click on it, as these have been known to be the source of various malicious software in other cyber crime situations. Threats– When there is a threat in an email, such as forcefully taking down an account or being fined if you do not take instant action, this is usually an indicator of phishing. This can come in the form of both email and phone solicitation and threats are easily identifiable by the request of immediate action or otherwise facing the hacker’s consequences. Posing as a popular company- Seeing a familiar logo or name on an email or other electronic communication can give you a false sense of security that what you are receiving is a legitimate connection from an accredited company. An indicator that a message is phishing is when the hacker includes the company title in a way that is slightly different from the actual company name (i.e. Twitter Co. instead of Twitter Inc.). Also, if you regularly get emails from a reliable company and you receive one that looks different than usual, this is a sign that it may be a phishing scam. Spelling and Grammatical errors- If there are clear spelling or grammatical errors throughout the email, it is obvious that this email was not carefully looked over by a member of an authentic company and is likely phishing. This not only includes spelling and grammatical errors, but also when key parts of an email, such as the subject line or a signature, are missing or strangely worded. Now that we know how to identify a phishing scam, it is important to take the proper steps in protecting businesses everywhere from this type of threat. Companies are the primary targets of phishing attacks, and consequently, they need to amp up their cybersecurity defenses in preparation for combating phishing threats. While employees are some of a company’s greatest assets, they are also the greatest threat to its cyber-defenses. This is why employee education is the most important defense against phishing. Educate employees—Informing your employees of the indicators listed above will help them to be able to identify a phishing threat. Utilize checks and balances—Utilizing checks and balances can help to prevent what is known as spear phishing—when hackers pretend to be executives emailing upper level employees in order to gain access to valuable information like financial numbers, wire transfers, and employee information. By having multiple people needed to sign off on something, it is likely that the scam will be caught among them. When in doubt, ask—Let your employees know that if they are questioning an email, they should ask someone else before clicking on it. It is better to be safe than sorry, and most of the time, if they are questioning it, it is likely a fraudulent email. If you believe an electronic communication to be malicious or suspicious, do not open it, delete it, and report the incident to your IT department. For small businesses that may not have an IT department or think that cybersecurity is out of reach for your company’s budget, please go to www.axiomcyber.com to learn more about our affordable managed cybersecurity solutions and how we can help your business get and stay secure. 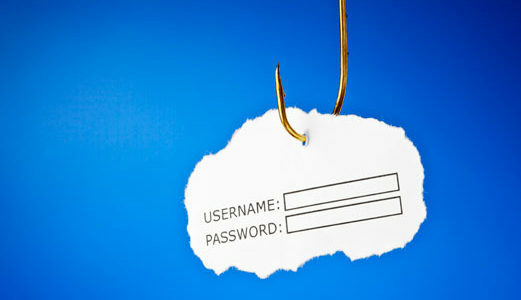 Gone Phishing: Who’s really on the other end of the line? 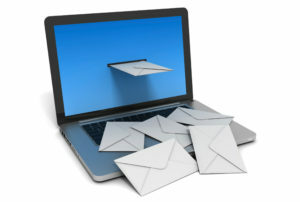 Email, social media, smartphones, and other electronic communication are now the norm for communicating across and between businesses of any size. You may even be a part of a company so big that you email back-and-forth with people on a daily basis whom you’ve only met a few times in passing. Or you may be contacting multiple potential clients for your start-up business, many of which you have never met before at companies you’ve barely heard of. If you see that an email is from someone who appears to be an employee at your business or a good potential client, you click on it so as to build and maintain positive relationships with them and help them with whatever it is that they may need. But how do you know if that email is actually from Jim in Accounting or Jane at your strong lead’s firm and not a hacker posing as him or her? When it is really the hackers and not the genuine people you think it is, this is called phishing. Phishing is a tricky cyber threat—able to stump 20% of employees at J. P. Morgan when the company sent out a fake phishing email—but what is it exactly? Phishing is when impostors pose as reliable entities, such as banks, universities, or other well-known companies, via electronic communication, to solicit personal information which they can then use to steal people’s identities or infect their computers with malware. 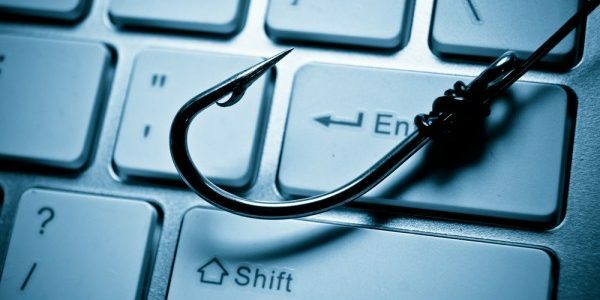 Phishing is growing at a rapid rate with many other cyber crimes; not even halfway into 2016, there have already been 36 companies that have fallen victim to phishing email attacks where the hackers were in search of employees’ personally identifiable information (PII) to aid the hackers in identity theft. Arguably just as vicious as going after people’s PII, these hackers have begun to steal funds from companies primarily through a form of phishing known as whaling. Whaling, a form of phishing usually synonymous with the term spear phishing, is when hackers target executives for their phishing attacks; either emailing them directly or posing as these high-ranking members to send mass emails to employees (and in turn successfully infecting all employee’s computers who open the malware-ridden emails), in order to gain access to valuable information like financial numbers, wire transfers, and employee information. A Mimecast survey conducted late last year found that 55% of businesses across the globe had experienced an increase in whaling attacks over the previous twelve months. Whaling has been in the news recently for having hit Mattel, the producer of such toys as Barbie and Hot Wheels, with a malicious $3 million transfer of money to a hacker based out of the Bank of Wenzhou in China. Cyber criminals posed as a legitimate member of the Mattel executive board—the newly-instated CEO, Christopher Sinclair—to trick finance employees into transferring the sum to their malevolent bank accounts. In order to transfer money, Mattel requires two executives to sign off on the transfer so as to help reduce financial-related risks, one of which being the CEO. When the unnamed financial executive saw what he thought was the CEO’s approval, he assumed the transfer was legitimate and transferred the funds to the Bank of Wenzhou, unknowingly completing the hacker’s mission. Thankfully, this event happened on a Chinese banking holiday, meaning that the funds were held up and Mattel was able to recover the wrongfully transferred funds almost immediately after finding out about the issue. Though this is good news for the toy-producing giant, most companies do not always have such lucky timing when cyber crimes strike. This is why knowledge and education are crucial defenses on the cybersecurity front. If employees know how to identify suspicious communications, then it is less likely that the company will be subject to phishing and whaling attacks. Threats- When there is a threat in an email, such as forcefully taking down an account or being fined if you do not take instant action, this is usually an indicator of phishing. This can come in the form of both email and phone solicitation and threats are easily identifiable by the request of immediate action or otherwise facing the hacker’s consequences. Spelling errors- If there are clear spelling errors throughout the email, it is obvious that this email was not carefully looked over by a member of an authentic company and is likely phishing. This not only includes spelling and grammatical errors, but also when key parts of an email, such as the subject line or a signature, are missing or strangely worded. With the holidays approaching, it’s not always all about cheer and goodwill. Crime tends to peak during the holidays and cyber crime is included. Facebook currently has over 1.44 billion users. It’s no surprise that cyber criminals are using this popular social networking service as a gateway to identity theft. An incredibly popular method called ‘phishing’ is a common way for these thieves to trick you in order to gain your personal and financial information. It’s so common that with a simple google search, one can find step by step guides on how to hack Facebook accounts using phishing methods. So what is phishing and how is it done? To put it simply, phishing is where users are directed to enter details into a fake website that looks and feels like the legitimate one. Basically, these cyber criminals goals are to get you to login to your fake login page and the criminal then successfully gets the Facebook email and password. My colleague had an odd feeling at this point. In conjunction with the unique scenario and the poor spelling, he realized something was not right. He then asked his friend “Hey, how exactly do we know one another?” The friend responded but brushed the question aside, “We’ve been friends forever.” After a little more back and forth, the friend refused to share details on their friendship. My colleague successfully avoided this likely phishing attack. Had he clicked on that link, he would’ve been asked for his password, and had he entered it, he would’ve had a problem on his hands. These phishing attacks can come in many forms. It may look like Facebook is emailing you about a photo violation or maybe a friend is sending you a holiday e-card. Warning bells should go off immediately if it links you to a website and asks you for your password. Odd spelling and a poor use of English is also a dead giveaway when it comes to cyber crime. Protect your password. Use a combination of at least 6 letters, numbers and punctuation marks. Avoid including your name or common words. Your password should be difficult to guess. Don’t use your Facebook password anywhere else online and never share your password. Never share your login information (ex: email address and password). Sometimes people or Pages will promise you something (ex: free poker chips) if you share your login info with them. If you’re ever asked to re-enter your password on Facebook (ex: you’re making changes to your account settings) check to make sure facebook.com is still in the URL (web address). Log out of Facebook when you use a computer you share with other people. If you forget, you can log out remotely. Don’t accept friend requests from people you don’t know. Sometimes scammers will create fake accounts to friend people. Becoming friends with scammers might allow them to spam your Timeline, tag you in posts and send you malicious messages. Your real friends might also end up being targeted. Never click suspicious links, even if they come from a friend or a company you know. This includes links sent on Facebook (ex: in posts) or in emails. If one of your friends clicks a spam link, they could accidentally send you or tag you in spam. If you see something suspicious on Facebook, report it. You also shouldn’t download things (ex: a .exe file) if you aren’t sure what they are. Watch out for fake Pages and apps/games. Be suspicious of Pages promoting offers that are too good to be true. If in doubt, check to see if a Page is verified. Be mindful when you install new apps or games. Sometimes scammers use bad apps and games to gain access to your Facebook account. Log in at www.facebook.com. 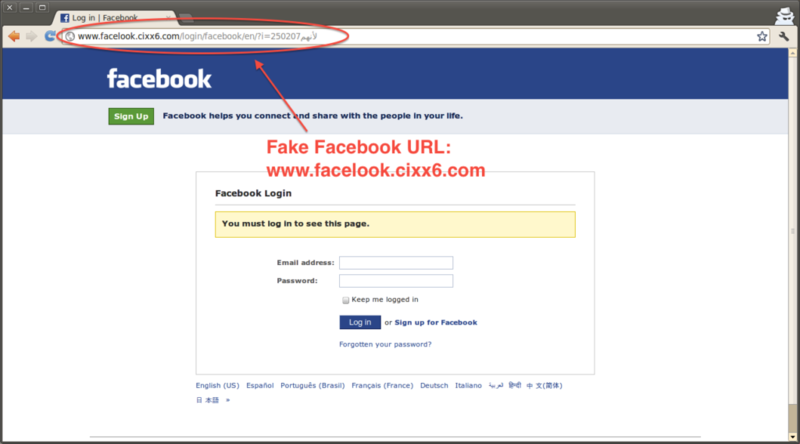 Sometimes scammers will set up a fake page to look like a Facebook login page, hoping to get you to enter your email address and password. 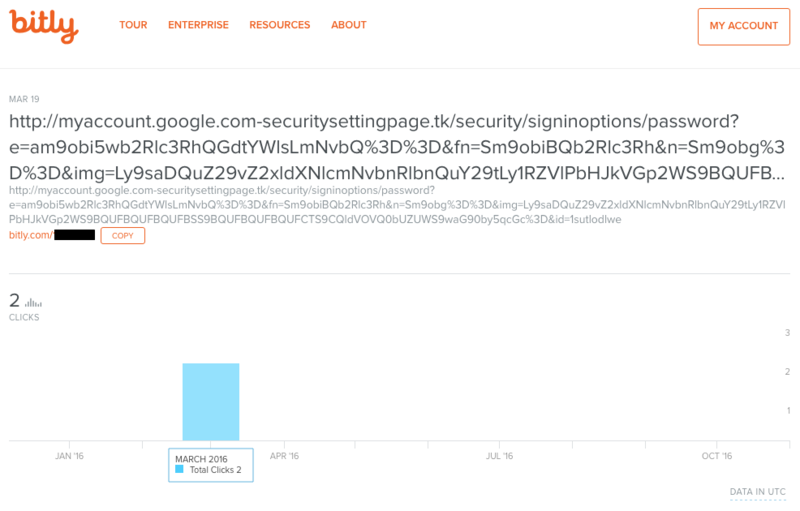 Make sure that you check the page’s URL before you enter your login info. When in doubt, you can always type facebook.com into your browser to get back to the real Facebook. Update your browser. The newest versions of internet browsers have built-in security protection. For example, they might be able to warn you if you’re about to go to a suspected phishing website. Facebook supports: Mozilla Firefox, Safari, Google Chrome, and Internet Explorer. Run antivirus software. To protect yourself from viruses and malware, scan your computer. Axiom Cyber Solutions is offering Cyber-Security Protection for Small Business starting as low as $199 per month. We realize that most small businesses do not have a dedicated IT team and business owners may be handling their cyber security matters on their own. Let us take over and provide you with peace of mind. Axiom will provide your business a firewall and manage it so you don’t have to worry about securing your business. We will assess the security risks for your business and will help implement the right cyber security service for your business.